Alcester's history extends back to the Romans. The town has been the subject of numerous archaeological digs and is now one of the best understood Roman settlements in the country. 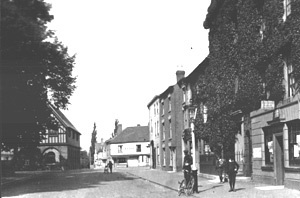 Windows on Warwickshire - A great website showing old photographs of Warwickshire. 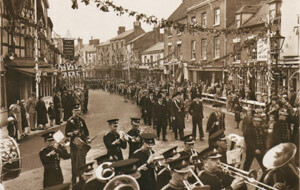 There are 100s of pictures of Alcester, just type Alcester in the quick search box and press find. Alcester Train Station - The Warwickshire Railways web site contains interesting information and photographs of the old train station. This site is created for the railway enthusiast, local historian and railway modeller by fellow enthusiasts. Haselor & Walcote: Through The Lens Of Time - This on-line version of the book is a photographic survey of the buildings within the Parish of Haselor in the year 2000. Coupled with this survey there are many old photographs that have been located in order to show a 'now and then' concept. Roman Alcester - A partnership between Stratford on Avon District Council, Alcester Heritage Trust and Warwickshire County Council.